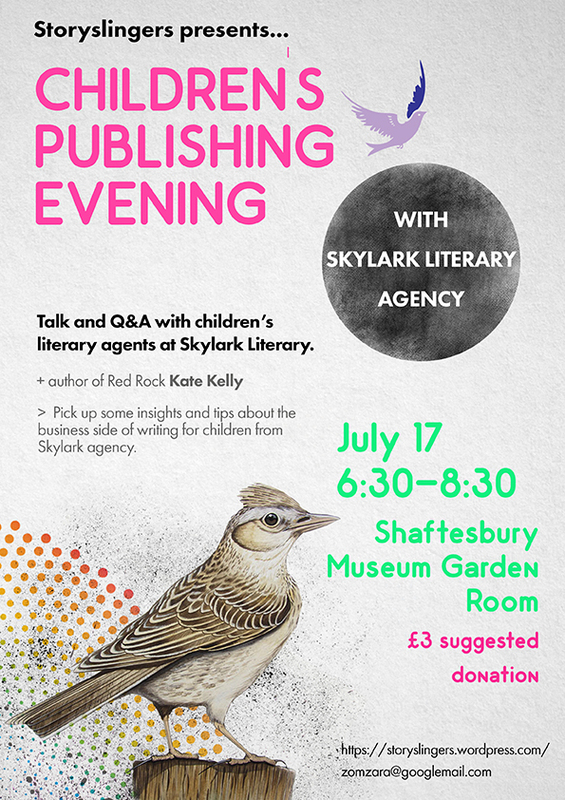 Kate Kelly, writer of Red Rock will also be coming to join in on the q&a session following Skylark’s short talk. It’s cli-fi week over at Guardian’s Childrens Books, so to celebrate I’m posting up an interview I did with cli-fi author and Storyslinger friend, Kate Kelly. The interview was part of a series over at the Dorset Writers Network website, go check it out! Kate is the author of Red Rock, a Cli-Fi book for young people (10+) published by Curious Fox. She is involved in literature development, having judged story slams and competitions, she leads workshops for children, gives author talks, and publishes a brilliant blog all about writing at The Scribbling Sea Serpent. DWN: Hi Kate! Thanks for taking the time to talk to us. KK: Hi Jen, thank you for the warm welcome. DWN: What do you write? Please tell us about your book, Red Rock. KK: Red Rock is a children’s adventure story for the 10+ age group. The ice is melting and, as the Greenland ice cap retreats, something has been revealed. Fourteen year old Danni s world is turned upside down when her aunt is assassinated. With her dying breath, she entrusts Danni with a strange, small rock. Danni must not tell a soul that she has it. But what is the rock for, and to what lengths must Danni go to keep it safe? DWN: Please describe your journey to becoming a published writer. KK: I’ve been writing all my life but about ten years ago I started taking it a bit more seriously, joined a writing group and started sending stuff out into the world. My first successes were with the Yeovil Prize where I was highly commended several years running, and with short fiction in the sci-fi and horror genres which I managed to get published across a variety of small press magazines and anthologies. Red Rock was the first longer work to find a home and also my first children’s book. It was also Highly Commended in the Yeovil Prize and I was lucky enough to find an agent as a result. She managed to place Red Rock with Curious Fox. But it has not been an easy journey, with lots up ups and downs along the way. DWN: Red Rock has been described as a Cli-Fi book. Can you explain what this means and how the label has impacted the book, and you as a writer. KK: Cli-Fi is short for climate fiction and is a term coined by climate activist Daniel Bloom to describe the sub-genre, primarily of science fiction, which explores the effects of global warming. I didn’t set out to write a Cli-Fi novel but the recent interest in Cli-Fi and in climate change itself has been quite timely. DWN: As a writer for young people, what are your thoughts on children’s publishing and the importance of children’s literature? KK: The children’s book market is one of the healthiest parts of the publishing business, I guess because children are always going to be looking for new stories and adventures to inspire them. I’m always amazed when I go into schools at what avid readers the kids can be, and how sophisticated their tastes often are. DWN: What’s your process? Do you plot everything out before starting, or does it come out in a more organic fashion? KK: Because most of my stories are thrillers of some form or other I find a bit of planning goes a long way. If I know what clues I’m seeding and what my villain’s evil plan is right from the start then I find this cuts down on a lot of the later rewriting. DWN: Have you been given any brilliant writing tips that transformed your writing? KK: Two bits really. The first is know what your character’s motivation is right from the start, and the second is try to make your reader feel something, whether good or bad. DWN: Do you have any advice or encouragement for aspiring writers, particularly young writers who might still be in school or right at the start of their career? KK: Quite simply write. The more your write the better a writer you will become. Write from your heart and above all enjoy it. Writing should be fun. DWN: Was there anything you found particularly difficult when writing Red Rock? If so, how did you overcome those difficulties? KK: I think the hardest thing for me was plotting. I hadn’t really planned the novel out properly and as a result there were an awful lot of plot holes that I had to go back and fill in. Spotting all the plot holes was tricky. DWN: How important are writing groups to you? Do you have any advice for young writers, or writers for young people, who are looking for a group to join, or even starting their own? KK: Writing can be a very lonely business and so building up a network of fellow writers is, I believe, essential. Writing groups can vary a lot. It’s always best to go along see if you’re a good fit. There are also online communities of writers these days which can be useful if you live somewhere where it’s difficult to get to a real life group. DWN: Finally, are you working on a new novel? If so, can you tell us a bit about it? How does writing the second book compare with writing the first? KK: In a way I’m not too badly affected by ‘Second Novel Syndrome’ because I only had a one book contract, so I have no deadlines and there are no expectations or pressures being put on me. That means I’m still free to write what I want. The disadvantage is that I’m back at square one looking for a new deal with a new publisher. I have a couple of things on the go but I don’t want to say too much about them at this stage. and follow her on twitter and facebook. 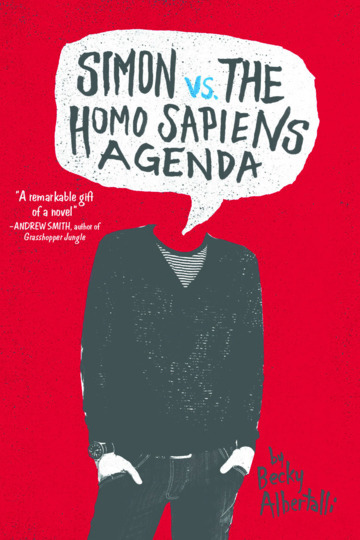 Becky Albertalli is a debut American YA author of the forthcoming Simon Vs The Homo Sapiens Agenda. Simon Vs is out on April 7th from Balzer and Bray/ Harperteen. Before becoming a full time writer, Becky worked as a clinical psychologist and co-led a support group for gender nonconforming children. Zomzara: Hi Becky! First off, thanks for coming to talk to us! 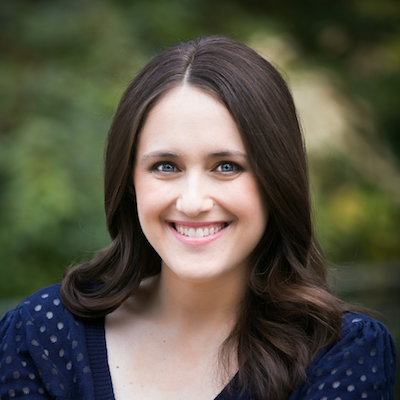 Becky Albertalli: So excited to be here. Thanks for having me! Z: Simon is a lovable, loyal, funny boy who allows himself to be blackmailed in order to protect the boy he loves. 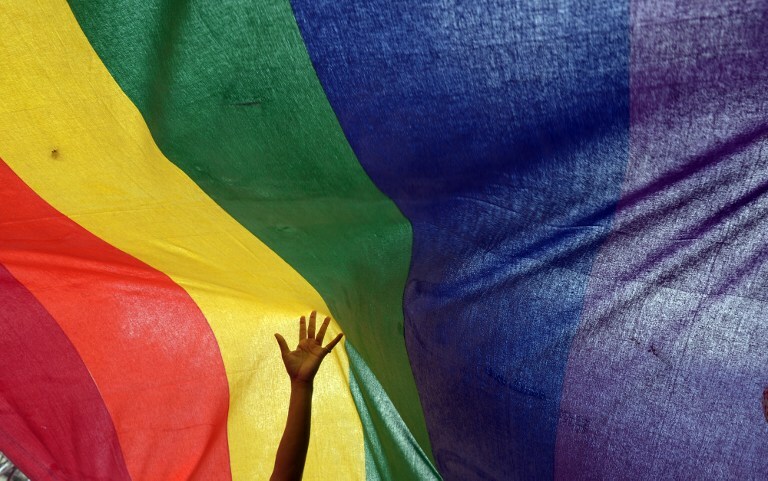 The book celebrates diversity, not just sexual diversity but also cultural. Why do you think diversity in YA and adult fiction is important? BA: Thank you so much for your kind words about Simon! I think diversity in fiction is incredibly important. The We Need Diverse Books team says it better than I can (love this FAQ from their website: http://weneeddiversebooks.org/faq/). Basically, I believe that all readers need to see themselves reflected in books – and they need books to help them access the experiences of others. In Simon’s story, he becomes increasingly frustrated with the idea that straight, white experiences are considered the default. This idea is really important to me. When approaching diversity in writing, we have to remember that including diverse characters is a decision – but it’s also a decision to include characters white, straight, cisgender, non-disabled, etc. We have to approach this decision thoughtfully and intentionally every single time. Z: Simon’s narrative voice is amazingly authentic. I’m British, an adult woman, basically straight, despite all these differences I could totally relate to Simon. How did you manage to capture his voice so convincingly? Did you find it hard, considering you are not a gay teenage boy? BA: I’m so happy to hear that his voice worked for you! I don’t even know if I can explain where Simon’s voice came from. I think he kind of revealed himself while I was writing. For me, that part of the process came together really naturally. I think the most difficult part for me was the uncertainty about whether I had created a character that would resonate with readers, including gay teen boys. BA: think I fall somewhere in between! I tend to loosely outline, but I definitely go where the characters take me. BA: My route to being published was unbelievably (probably annoyingly) quick. I think I’m still processing it! SIMON was the first novel I attempted to write, and it took me about four months to draft. I revised for a month and worked with my amazing critique partner, Kimberly Ito (we met on Absolute Write about a year and a half ago, and we’re still in touch daily). After revising again, I actually brought it to the Atlanta Writers’ Conference, where I had scheduled critique and pitch sessions with two different agents. I also ended up connecting with my agent, Brooks Sherman, at the conference mixer, and he invited me to query him. I spent another week or so revising based on my critique feedback, and then started querying. Brooks requested the full manuscript two days later, and offered representation two days after that. I spoke to a few more agents that week, but ended up signing with Brooks, and I’ve never regretted it for a second. He sent SIMON as an exclusive to Donna Bray at HarperCollins a few days after I signed with him, and she offered us a pre-empt at the end of that week. It was a complete publishing fairy tale. Super weird, but wonderful. Z: A couple of us at Storylingers have recently “come out” as YA writers – before this we thought we were serious literary adult writers. Was there a process of coming out as a YA author for you, or did you and all your friends and family always know you were YA orientated and it was no big deal? BA: Interesting question! I think I’ve always been drawn to YA, and as a psychologist, I worked primarily with kids and teenagers – so I doubt the YA aspect surprised anyone. But there actually was a kind of coming out process for me as a writer! Almost no one in my life knew I was even interested in writing until I had gotten my book deal. I was just really private about the whole process. I think I was pretty doubtful at the time that my writing was going to go anywhere, so I kept it under wraps. I wish I had been more open about it before, and I especially wish I had become involved in the writing community sooner. It’s been amazing getting to know so many wonderful people who love reading and writing as much as I do. Z: The secondary character of my WIP YA is struggling with his sexuality, and finds it hard to identify with any one orientation. This really bothers him. He’s had to recalibrate his understanding of his sexuality a couple of times before, and now is tentative about identifying himself as one particular type. But he desperately wants to feel like he fits in somewhere. I guess my point here is: teenagers are just at the start of their sexual awakening and there can be a lot of pressure to identify yourself as belonging to a particular group. Do you have any advice for people like my character who can’t honestly say if they’re straight, gay, bi, demi, pan or asexual yet but feel that pressure to fit in somewhere? I guess I’m asking you this as a psychologist more than an author, but it’s so amazingly awesome that you’re both and I can ask this difficult question! BA: This is a hard one for me, because as a psychologist, I usually try to avoid giving concrete advice. These issues are just so individualized. If your character showed up in my office, my role would be to create a space where he felt comfortable exploring his personal understanding of sexuality, along with the ambivalence he feels about identifying with any particular group. In general, what I’d probably want him to know is that it’s okay not to know. It’s okay to change his mind. He can identify with one label today, choose something else tomorrow, and avoid labels entirely the next day. He gets to decide what these labels mean to him; they’re his to claim if they help him feel more integrated, and they’re his to reject if they don’t work for him. Z: Throughout Simon Vs, Simon and Blue are exchanging emails. The text swaps between prose and email form. Did you find it a challenge to swap forms? Or did that come quite naturally? BA: That part actually came really naturally! I love playing around with different forms. I actually think the emails helped me structure the book. With the exception of drunk Simon, they were my favorite part to write. Z: Who/ what are your biggest influences? My own memories of being a teenager. My work with gender nonconforming kids. The work of a few favorite authors. I would say my most direct influences are Jaclyn Moriarty’s Ashbury/Brookfield series and Steven Chbosky’s THE PERKS OF BEING A WALLFLOWER. Z: What was the hardest thing about writing Simon Vs? How did you overcome this difficulty? For me, the hardest thing was dealing with self-doubt. There was never a time when I felt confident about my book. To be entirely honest, I’m still terrified to put it out there. It’s so easy to feel vulnerable as a writer. With SIMON in particular, I was very worried about writing outside my identity – there’s a real risk of getting things wrong and hurting people. I don’t think I’ve entirely overcome these anxieties, and I’m not sure if it’s even possible to overcome them. However, it’s helpful for me to remember why I wanted to write it in the first place. If this book reaches even one person who needs it, in my mind, it’s worth the risk. Z: Have you ever been given a brilliant practical tip that transformed your writing? If so, please share! BA: I was really late to get this memo, but it was helpful for me to learn to pare down my adverbs and dialogue tags. Like, a lot. 🙂 For practical advice, I really love Mary Kole’s website (http://kidlit.com) and her book (WRITING IRRESISTABLE KIDLIT). Both were instrumental in helping me turn SIMON into an actual book. Z: Simon Vs is packed full of cultural references, music, Tumblr blog culture etc, which gives the book a real richness. Can you talk a bit about this? BA: I’m so glad this aspect of the book worked for you. I think people tend to either love or hate pop culture references in YA. I usually love them – I think they have the ability to make a fictional world feel more real. For SIMON, it was a no-brainer. I always knew he was a character who would have very strong opinions about music and would be very connected online (and, of course, online communication plays a big role in the plot). Z: Also- I did what I bet loads of readers will do, and I typed creeksecrets.tumblr.com into my browser. There’s nothing there. I was sad. Have you ever thought about setting up a fictional blog? I’m thinking about doing it for my own novel. So, what is your place on the sexual orientation scale, with 1 being perfectly straight and 10 being perfectly gay? Z: What are you working on at the moment? How does writing the second book compare to the first? BA: Right now, I’m working on edits for my second contracted book with Balzer+Bray/Harper. It’s actually a loose companion book to SIMON, focusing on the group of friends Abby left behind in Washington, DC (Abby plays a significant role in the book, and Simon and a few others get shoutouts). The process has been really different. I know a lot of authors find their second book much harder to write – this has DEFINITELY been the case for me. I’m rewriting it for a second time, and am only now realizing how light my edits were for Simon. It definitely adds pressure knowing beforehand that this book will be published and read – and writing under a deadline brings a whole new set of challenges. Also, I had my second baby in October, so finding time to actually sit down and write has been incredibly hard. On the other hand, I have a rock solid support system this time around, and the input I’ve received from my editor, agent, and critique partners has made a huge difference. It will be interesting to see what the end result looks like! Z: I could ask you a billion more questions, but I don’t want to pull you away from writing whatever amazing thing you’re working on right now, so I’ll leave you in peace. Thanks so much for talking to Storyslingers! BA: Thank you so incredibly much for these amazing questions. It was such a pleasure to hang out with you and the Storyslingers today! Storyslingers is also on twitter (kinda, in a half-arsed way) so follows us on @storyslingers for glorious yearly tweets. Zomzara, signing off with a classic photo by Turner Prize winning artist, Wolfgang Tillmans. Tillmans has just won this year’s Hasselblad Award. Over the summer I was shortlisted for a competition. As a result I was given the opportunity to attend a workshop in Bristol, headed by Chelsey Flood, author of the Branford Boase winning novel Infinite Sky. The workshop was excellent. I learned a lot in a short space of time. It’s rare for me to find workshops aimed at the intermediate-advanced level – they tend to get drowned in a sea of beginners classes. So perhaps I will write up some of the intermediate-advanced tips that Chelsey imparted, and post them here. In the meantime, Chelsey has very kindly offered to answer some questions. Hi Chelsey. Thanks for taking the time to talk to us. Thanks for having me, I’m very happy to be talking to you. I read Infinite Sky very quickly, it was a gripping story. For those who haven’t read it, can you tell us a little about it? The story opens with a funeral. Iris, the protagonist, is mourning the body of the boy inside. The question hangs over the novel, of which boy she is mourning; is it Sam, her tearaway brother, or Trick, her tentative boyfriend. Then the story flashes back, to before the tragedy when a family of Irish Travellers set up camp in one of Iris’ family’s fields. So begins Iris’s journey of discovery as she makes friends with Trick, the eldest of Traveller children, discovers secrets about her brother, and begins to understand her mum’s absence. It is a story very close to my heart as it is set in a fictionalised version of my childhood home (well, one of them, as I lived half the week with my mum, half with my dad). Iris Dancy, the protagonist, is an idealised version of me, and her family (especially her father) have lots of the same traits that my family do. I’m very proud of the book. Writing is hard! Was there anything you found particularly difficult when writing Infinite Sky? If so, how did you overcome those difficulties? I found writing it very difficult! It’s hard to say no to invitations and TV and naps when you aren’t even sure that anybody will want to read the novel when you’ve finished. 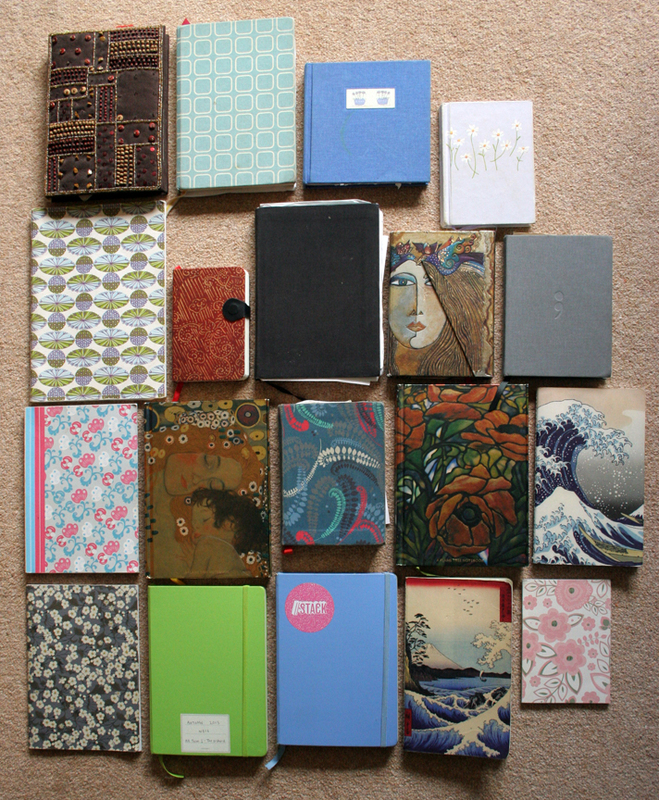 Also, it’s difficult to keep a novel under control. There are so many directions the story can take, and that is overwhelming at the start. I was lucky because I was doing an MA in Creative Writing, and so was surrounded by intelligent, sensitive readers who helped me get the story right. I was also being mentored by Bernardine Evaristo as part of the Jerwood/Arvon Mentoring Scheme, so I had lots of support. Being part of a good critique group is a huge help when writing a novel. In my YA writing, I’m influenced a lot by classic English writers, such as Dodie Smith and Barry Hines, and also contemporary writers such as Meg Rosoff and David Almond. I’m also influenced by Shane Meadows, who is one of my favourite writers. He put the Midlands on the map with his films set in the area, and I really love his work. Another big influence is my childhood and adolescence. I remember this time very vividly, and draw a lot from it. You studied for an MA at UEA, some of us at Storyslingers have done BAs or MAs, others opted for self-led study and some are still deciding what route to take. How important was your MA to your career, and do you have any advice for writers considering whether to take the leap onto academia? Also, do you have any thoughts about PhDs in Creative Writing? My MA came at just the right time. I had gotten quite far by myself – I’d learnt lots about the different craft elements and had some short stories published, I was critiquing other writer’s work and offering mine up for criticism – but I still had a lot to learn. I’d begun the novel that would be Infinite Sky, and that was what I worked on throughout the MA. It’s a very personal choice, and an expensive one, so I wouldn’t really want to advise anybody if it was right for them or not, but I was absolutely sure it was right for me, and I had a mostly wonderful experience. As for PhDs in Creative Writing, I don’t really have a stance on them. What’s yours? Have you been given any brilliant writing tips that transformed your writing? Lots! The one I’m always banging on about, is: be specific. The specific becomes poetic. It can make your writing lively, make the reader trust you know what you are talking about, and also bring original detail into your prose, which makes your writing stand out. And have you ever received any tough criticism that has helped (or hindered) you in the long-run? I try to plot, and when that fails, or dries up, I go back to writing. I move back and forth between the two arenas. With my second novel, I have been doing a lot more planning in the hope of writing faster, though that hasn’t been entirely successful. I always think of myself as a ‘pantser’ as the Americans say (as opposed to a plotter), but actually, I have always worked from a plan. I abandon it very easily when the writing is going well, that’s all. Lastly, what are you working on at the moment? How does writing the second book compare with writing the first? I’m working on a follow up to Infinite Sky, and have found writing the second book fairly hard going. Writing under contract is very different to writing for yourself, and it brings a different set of anxieties. Rather than worrying if a publisher will ever buy the book, you worry that your publisher will regret buying it. It can be difficult to remember that your polished, published book was ever a confused, uncertain mess stored in your laptop. I think it’s like you say though: writing is just hard. Maybe the book you are currently writing always seems like the most difficult book. My friend and colleague at Bath Spa University is working on a brilliant project at the moment that you’ve probably all heard about, but if not check out the information below. 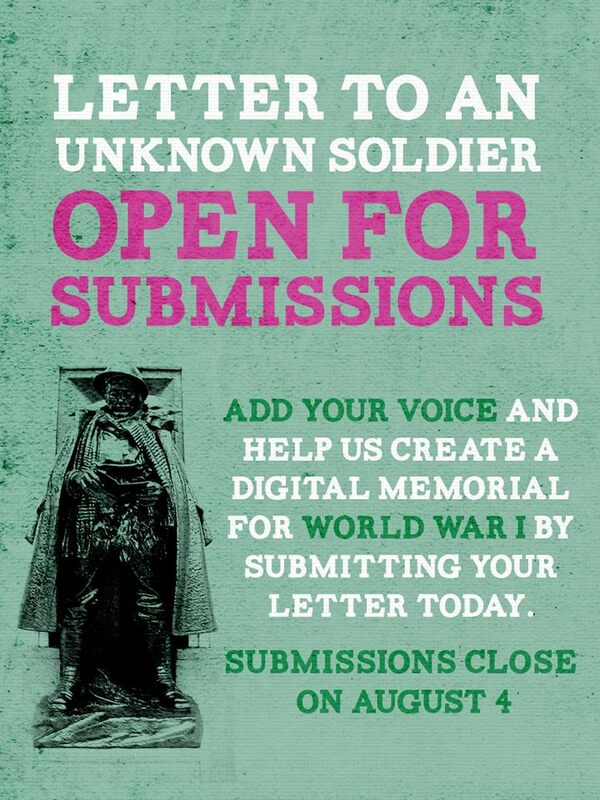 Letter to an Unknown Soldier is creating a digital war memorial for WWI by asking people to write a letter to the unknown soldier in Paddington Station. The website will be live for four years, and then the material will be archived with the British Library. The British Library is where the original Beowulf manuscript is kept. YOU COULD BE IN THE SAME BUILDING AS BEOWULF. Think about that. During the First World War over two billion letters and 114 million parcels were handled… it is a number we cannot aspire to match but one that reflects the significance of letters. LETTER TO AN UNKNOWN SOLDIER will create a snapshot of how twenty-first century Britain views the First World War, one hundred years on. It will be added to the British Library online archive at the end of the project, and kept in perpetuity for generations to come. This is a unique opportunity to have your letter published alongside these and ones from high profile writers – those who have contributed include A L Kennedy, Joanna Lumley, Stephen Fry, Sheila Hancock, Andy McNab, Lee Child, Andrew Motion, Dawn French, Lesley Pearce, David Cameron, and Malorie Blackman. LETTER TO AN UNKNOWN SOLDIER will remain open to receive letters until 11pm on 4 August.